Metal open access children's primary junior cubbies support the basics of the learning process and reinforce classroom discipline by teaching students the basics of organization and personal responsibility. 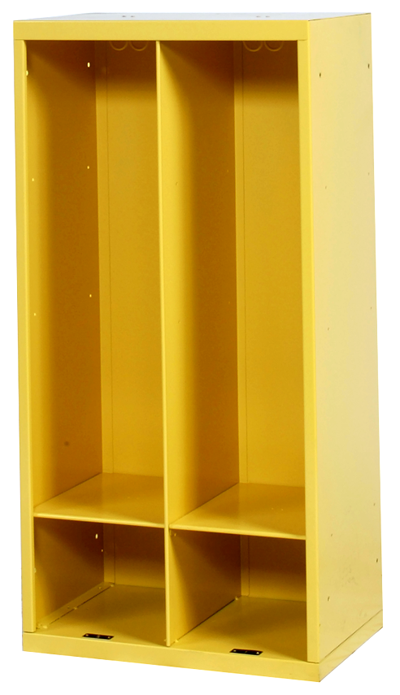 These metal storage units are also manufactured in a manner that allows them to be customized to a specific classroom size. The compact design is just right for smaller children, and it is ideal for saving floor space in smaller learning environments. 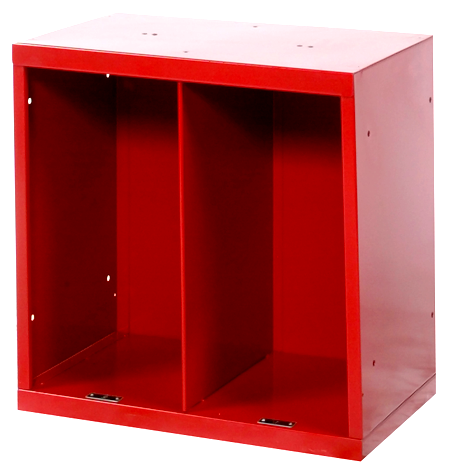 Metal cubby storage units help to teach young children organization. The basic design of each unit is ideally suited for this. It is a simple vertical space measuring only 24 inches high. Young children with backpacks, lunchboxes, and school supply kits can learn to consolidate and arrange their supplies in a simple way that teaches them the basics of neatness and efficient space utilization. Some teachers even have their students begin the day by placing the materials they bring from home in an orderly arrangement that allows them to retrieve specific supplies when they need them. Metal open access children's primary junior also benefit the learning process itself. Children are very good at making almost anything they can manipulate into a toy. Things that we would never dream of playing with, like the handle of a lunch box, or the decals on the side of the backpack, can so consume a child’s mind that he or she quickly loses interest in instruction. By requiring students to place all their supplies in a personal storage area, however, teachers can better keep students on task by having them retrieve only what is necessary to the particular activity at hand. In many respects, it can be said, then, that metal open access children's primary junior actually help instill the basics of responsible resource management in the minds of young children. When students are required to store, organize, and later retrieve specific materials, they learn by experience very quickly not to misplace things or simply throw them into a pile. This not only benefits the learning process as a transfer of knowledge, but it also helps with classroom management. The cultivation of personal responsibility, orderliness, and punctuality help form the basics of self discipline in students. Metal open access children's primary junior cubbies are designed to make it easy for teachers to arrange a very controlled, but simultaneously fun, learning environment. Each cubby unit can be built with only one vertical compartment, or it can have two or three adjacent vertical compartments. This allows a school to order a specific number of units whose total storage areas exactly match the size of the classroom. Each student has his or her own storage space. Very small classes with slightly older children, of course, can allocate multiple sections to each student if necessary. Metal open access children’s primary junior cubbies also serve the purposes of specialized classes like art and music. These classroom environments typically have supplies that students use only in the room and do not take home with them. Both the interiors of the cubby lockers, and the tops of units themselves, provide ideal storage spaces for everything ranging from musical scores, musical instruments, painting and drawing supplies, and paper. This article was published on Monday 01 August, 2011.